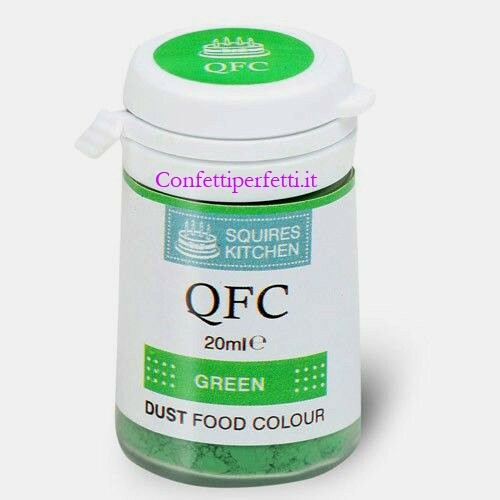 Colorante Lipo VERDE in polvere QFC Quality Food Colour Dust Green 4 gr. 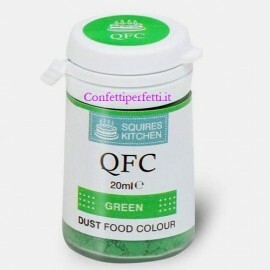 Squires Kitchen. Senza Glutine. Ingredients: E104, E133, anti-caking agent: E341(iii).